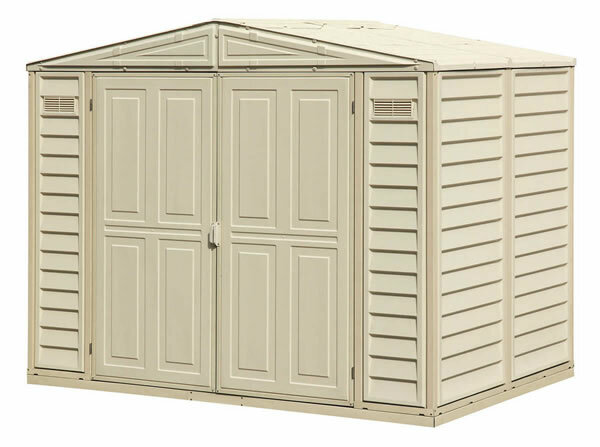 Our 7x7 StoreMax is an aesthetically attractive shed. 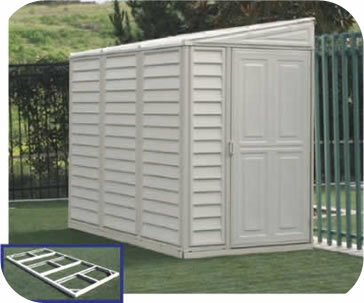 It features a durable and superior fire-retardant vinyl resin exterior with a steel frame. 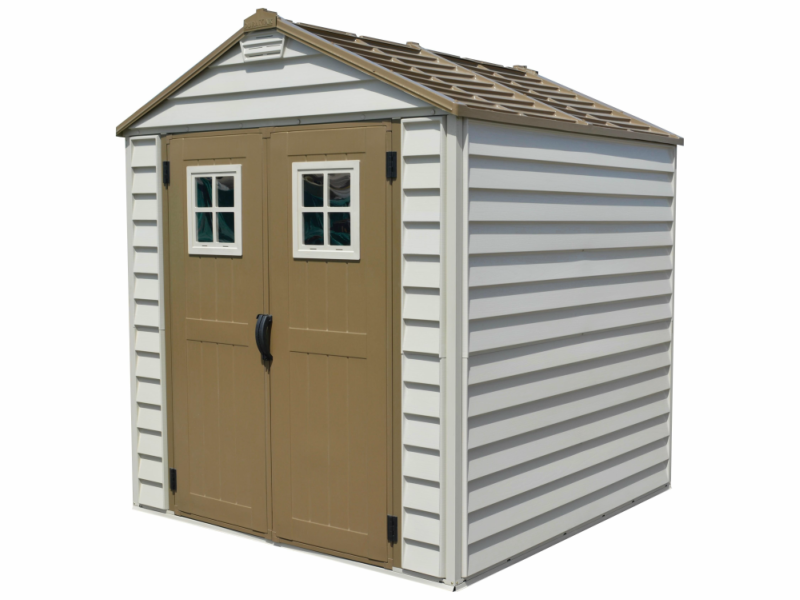 The DuraMax 7' x 7' StoreMax vinyl shed with foundation framing kit is an aesthetically attractive shed that features a durable and superior fire-retardant vinyl resin exterior. It's interior beams and columns are made of heavy-duty galvanized structural steel. 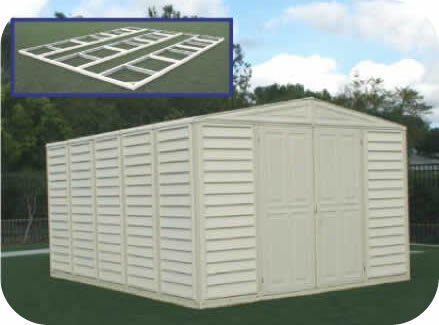 The StoreMax adds beauty to any backyard or outdoor garden area. 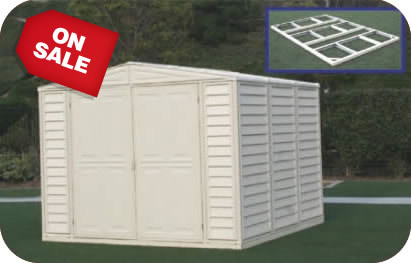 The StoreMax 7x7 shed provides strength and safety at a very affordability price and comes with a 15-year warranty which is the longest in the industry! 2 Vents & 2 Door Windows Included!